I don't know about you but I've been desperate to find a comprehensive guide to the Great Exhibition of the North ever since the opening ceremony. I've heard many people complaining that the official website is pretty hard to navigate which makes it tricky to make a plan. For weeks I've been wanting someone to just tell me simply - what's on and where to go! 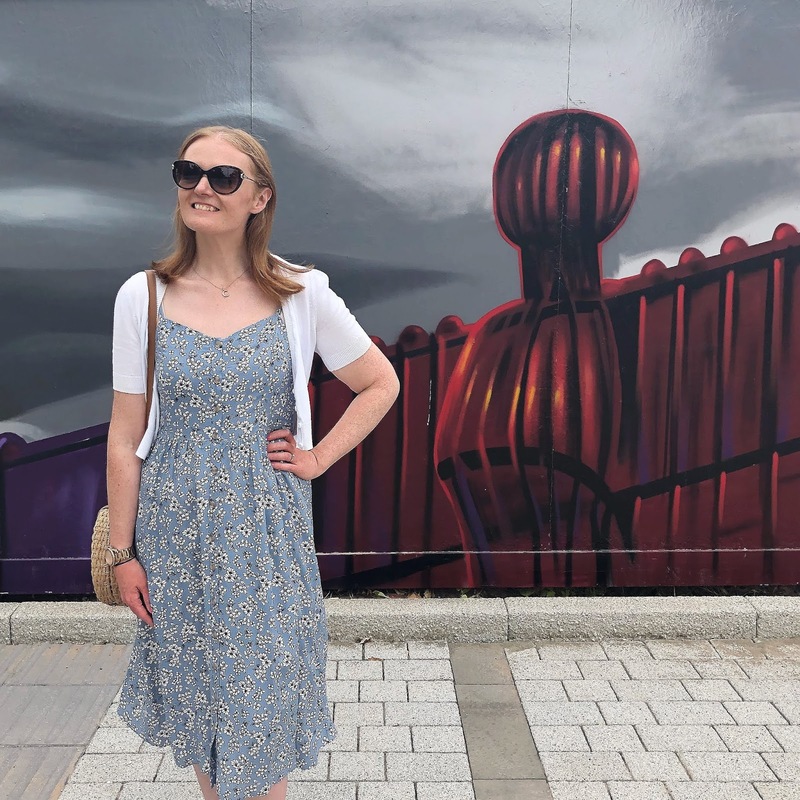 So today I thought I'd share with you my favourite exhibits from The Great Exhibition of the North and where in Newcastle and Gateshead I recommend that you head to get the best out of the event this Summer. The Great Exhibition of the North is a Summer long celebration of the north. Newcastle Gateshead was chosen to host the exhibition ahead of other cities in the north and it's the country's biggest event of 2018 - so quite a big deal really! Showcasing how wonderful the north truly is through exhibits, live performances artworks and experiences, its purpose is to celebrate the amazing part the North of England plays in art, design, technology and innovation. The official site has named three main hubs in Newcastle and Gateshead - The Baltic, the Sage and the Great Northern Museum which are all linked by three trails exploring art, design and innovation. Here is a little guide to my favourite parts of the Exhibition and what I recommend you do if you are stuck. This is just a very small selection of what's on offer and is perfect for people like me, the average Joe, who love the north but perhaps aren't too into the overly arty side of the arts! Stick on your trainers and create your own trail! Lego artist Steve Mayes tells the story of the North in lego using over 40 models and 50,000 bricks and I have to say it's pretty impressive! From the Great North Run to the Blackpool Illuminations we loved discovering more about the history of the north. 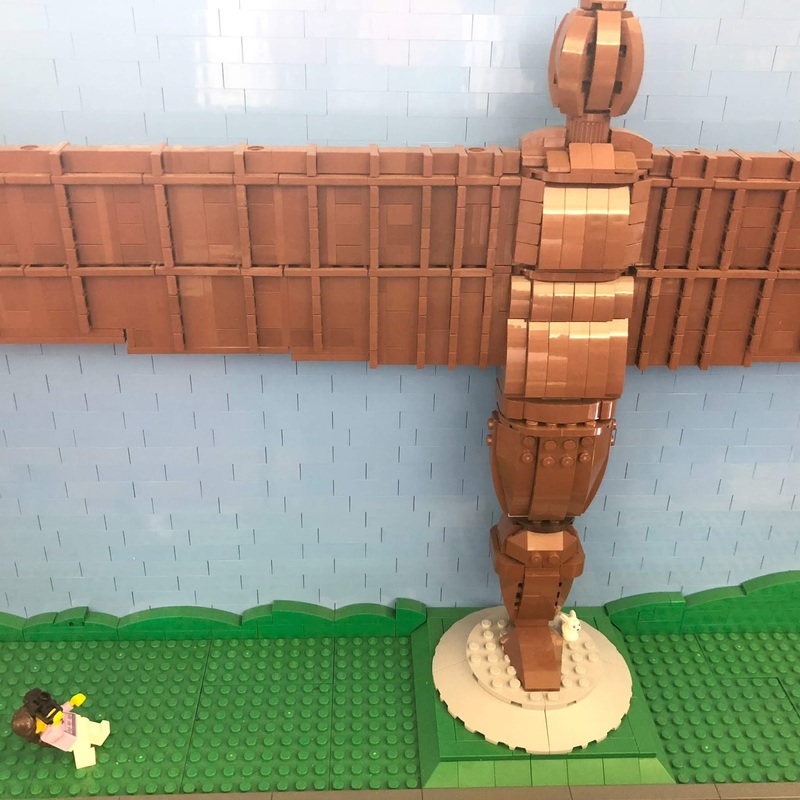 If you fancy inventing some models for yourself there's the opportunity to display your own northern inspired creations as part of the exhibition - there's already a very impressive looking lego Greggs and a Riley's Fish Shack created by locals! Who knew we were such a talented bunch! A few people have commented that the Great North Water Sculpture on the River Tyne isn't as impressive as they'd hoped and I have to say I do agree however, if you truly want to get the best out of the Quayside during the Great Exhibition of the North I'd encourage you to explore during the evening when the water feature is lit up in colours. There's always plenty happening by the Tyne in the evening and seeing the Hollywood sign-esque "Go The Flow / Swim Against the Tide" LED sculpture lit up when it gets dark is pretty special. 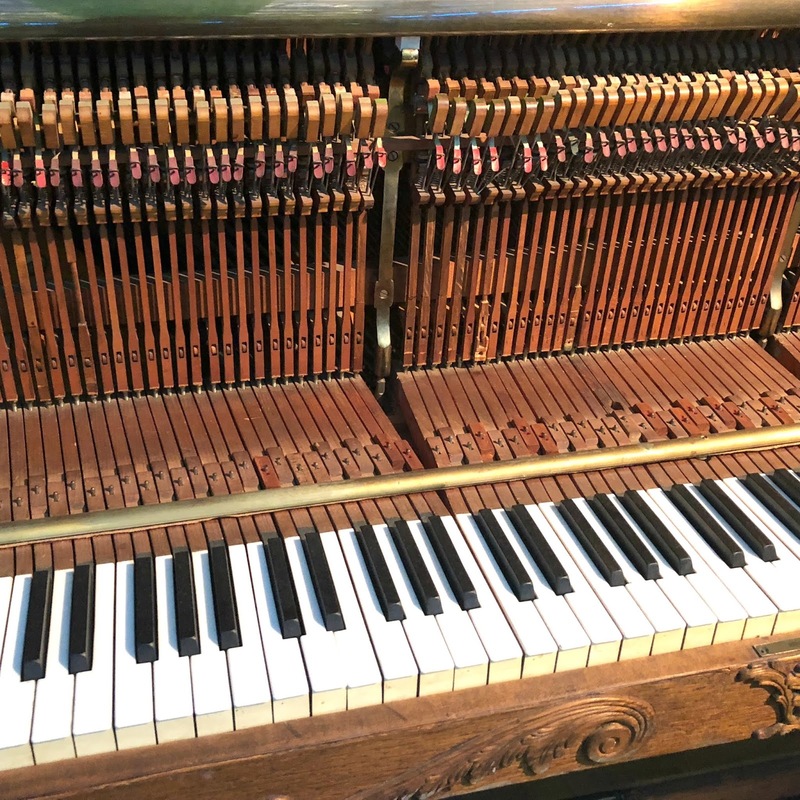 The pieces are scattered across the Museum so it's a good idea to give yourself a good hour or so to explore and if there's a particular thing you want to see you can get yourself a handy Great Exhibition of the North map at the door to the museum. The Workers Maypole has to be the most photographed part of the Great Exhibition of the North. The Monument in the centre of Newcastle has been transformed into a brightly coloured maypole for the duration of the Exhibition - bringing focus to the collective values of the north. The fact that Monument is such an important part of our lives here in Newcastle (how many times a week do you say "meet you at Monument" to your friends?) makes this such an important iconic part of the exhibition and one that I think we'll all remember for many years to come. The part of the Great Exhibition that I was most excited about, Robert Stephenson's The Rocket has returned to its birthplace in the North East and when I saw it I got goosebumps! On loan from the Science Museum in London, this is a rare opportunity to see The Rocket back in Newcastle and a must visit when creating your trail. An easily missed part of the exhibition is an amazing chance to travel back to 1829 to experience a journey on the Rocket using virtual reality. It was my first ever experience of VR and after being a little nervous to start with I loved it so much I did it twice! There are a few different art trails you can follow through Ouseburn during the Great Exhibition of the North but I decided to go and visit the one that really captured my attention. You'll find "Ancient Place", the most beautiful piece of street art, at Archway 4 at Stepeny Bank close to the Ship Inn and Ouseburn Farm. It's breathtaking and definitely worth a visit. 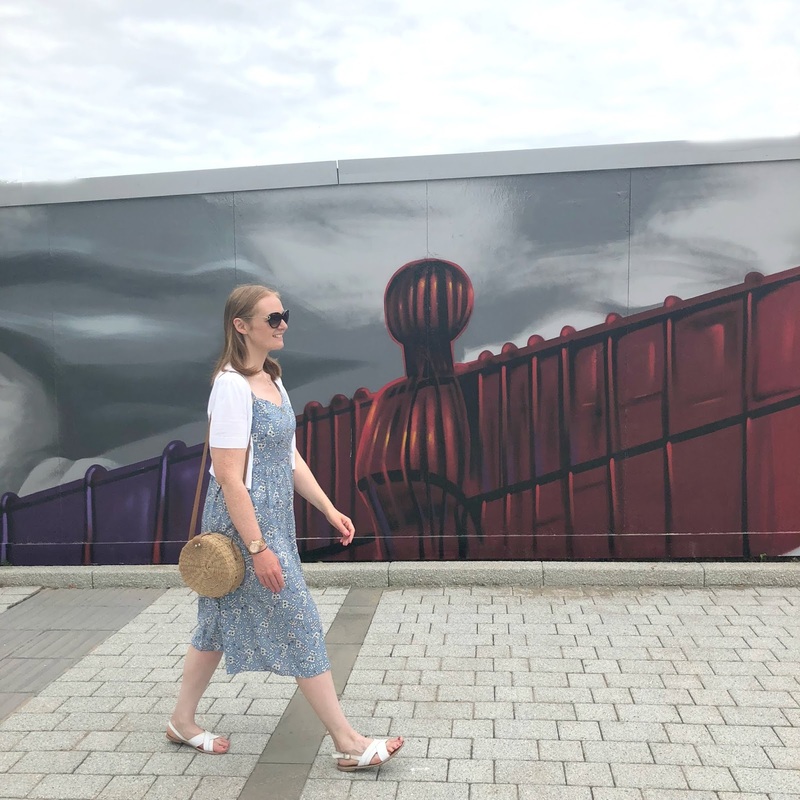 An exhibition I enjoyed so much I've visited it twice, Fifty Northern Icons at the Northern Design Centre is a colourful display of murals featuring some of the North's greatest icons stretching across a 150 m wall. 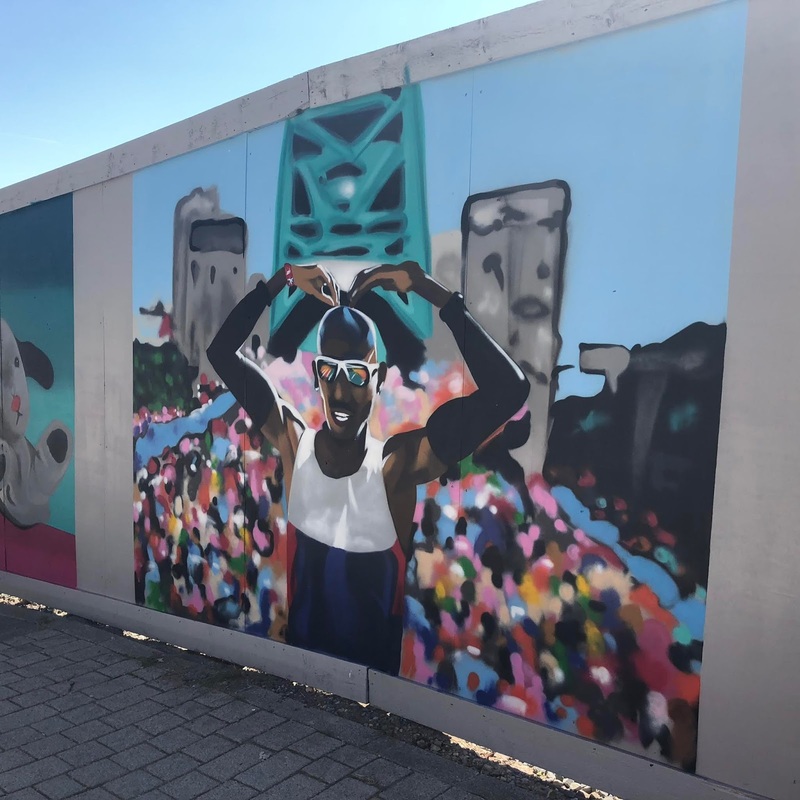 Voted for by the public, you'll find some of our most iconic moments as part of the display including Mo Farrah at the Great North Run and the ultimate Geordie icon, Greggs. I would love to hear about your favourite parts of The Great Exhibition of the North, if you've made any other great discoveries or your experience of the official trails. It has?!!! I actually walked right past it today and didn't even notice! Why has it come down so early?!! GUTTED!!! I'd never even thought about heading to the Lego exhibition but it's definitely on my list now! I really want to see the Quayside at night, too. You MUST go and see the lego - we really loved it!